Brigade group introduce their innovative residential township project Brigade Atmosphere in vicinity of BIAL, Devanahalli which is and emerging real estate sector and now being the prime part of north Bangalore. 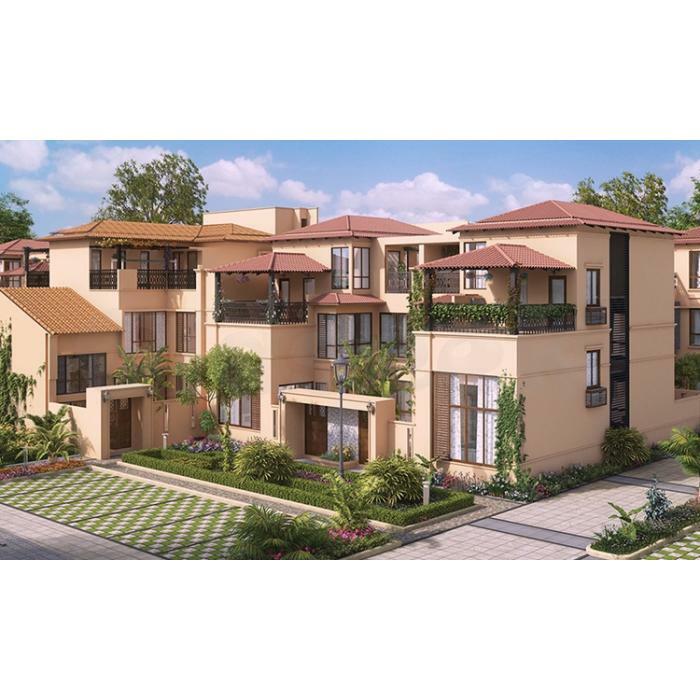 Brigade Atmosphere is the pre-launch premium courtyard villa project which offers 4 BHK units with SBA ranging from 3090 sq ft - 3410 sq ft with all ultra-luxury features included within the units along with a provision to have private garden in the ground floor. Ground Floor will be featuring Living hall Kitchen attached with a utility area, and the Bedroom has an attached bathroom within it. Next to the Kitchen you have the Dining hall where you can enjoy the group dinner or Lunch which right opposite to the Bedroom. First floor will have the portions reserved for the two bedrooms a study room, Family Hall and a SITOUT area to take rest in the cool breeze through the balcony. Above these you have the top floor where you have a large open terrace area with portion of it occupied by the large sized bedroom of 17*11 sq ft providing extra-large space.